Puffin Rock reaches 55 million streams in 6 weeks. Now launched on Tencent, China's giant digital media network, Puffin Rock has already had almost 55 million streams in its six weeks on air, with the English language version of both seasons rolling out in November. 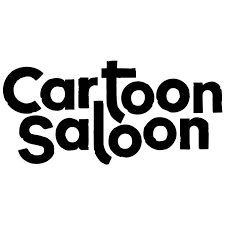 Co-produced by Oscar-nominated studio Cartoon Saloon, children’s media company Dog Ears and Penguin Random House, Puffin Rock is distributed internationally by Superights. Axinaer, CEO of China Nebula Group, said "I think Puffin Rock is one of the best animation series I’ve seen internationally, and this was why I wanted to bring it to China from the first time I saw it. Puffin Rock has extremely high artistic quality, and brings really positive and healthy content to young children." John McDaid, Creative Director, Dog Ears, said: "We're really excited to partner with CNB in China, and can't wait to see their ambitious plans for our Puffins take shape." Francesca Dow, Managing Director, Penguin Random House Children's, said: "We are thrilled that Puffin Rock will be launching in China thanks to our new partnership with CNB, and that our stories and characters are now delighting young audiences in China." 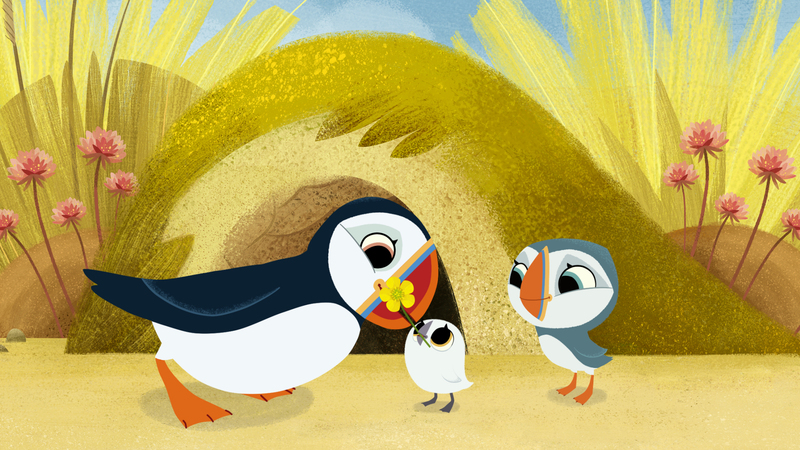 Puffin Rock is an award winning multi-platform pre-school brand co-owned by Cartoon Saloon Ltd, Dog Ears Ltd. And Penguin Random House Children’s. The Puffin Rock animated TV series is now broadcasting worldwide including RTÉjr in Ireland, Nick Jr, BBC Alba and now Channel 5 in the UK as well as streaming in all major territories worldwide on Netflix. 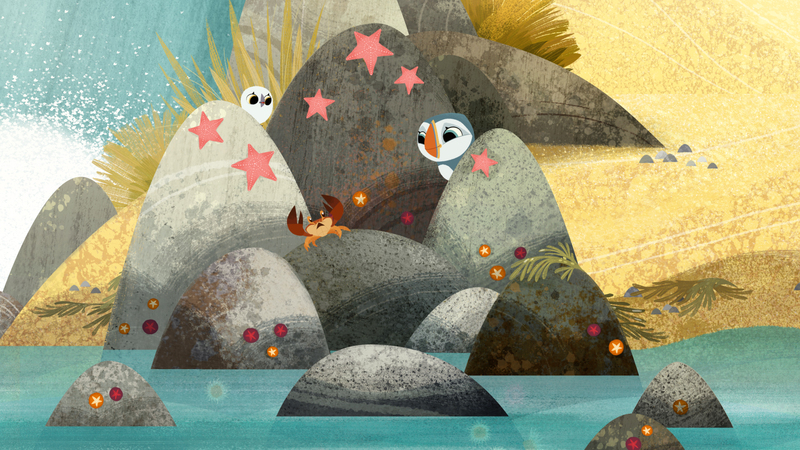 Puffin Rock was a winner of both Best New Preschool Series and Best Animated Preschool Series at the Kidscreen Awards. The show is narrated by Chris O’Dowd and stars 12 year old Kate McCafferty from Derry as the voice of Oona, who also sings the theme song for the series. The show is a charming mix of natural history facts, pre-school learning relationship dynamics and humour. 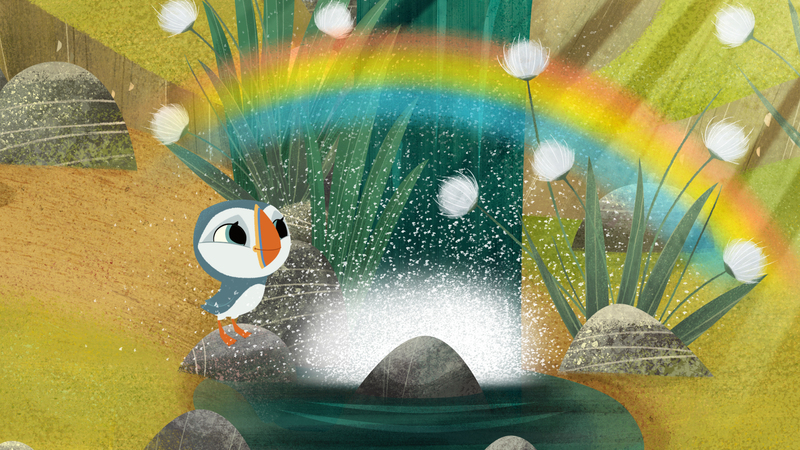 Puffin Rock is produced with the support of Northern Ireland Screen, Irish Film Board and European Media Fund. Superights is an international sales company dedicated to Kids and Family programs. Its catalogue includes PUFFIN ROCK (52x11') produced by Cartoon Saloon and Dog Ears and globally acquired by Netflix all over the world, PAT THE DOG produced by Superprod and Animoka and sold in over 180 countries including Disney USA, Turner EMEA & APAC and Discovery Kids Latin America and BOYSTER (52x11') produced by Je Suis Bien Content sold among others to Disney USA, EMEA, Latin America, Japan & South East Asia as well as Animax in Korea. Recent additions to the catalogue are HELEN’S LITTLE SCHOOL (52x11') produced by Superprod and Muse Entertainment and EMMY & GOOROO (52x11') produced by Left Pocket and Tomavision, and Bo Bear (26x5’), Superights’ first live action series produced by Spark.